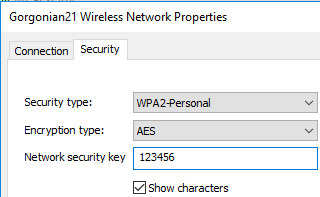 Don't know the password of the WiFi network you connected to with your computer? Or did you just forget? This tutorial will show you step by step how to find and retrieve a Wi-Fi password on a Windows 7, 8 and 10 PC. You've connected your PC to a wifi network some time ago (maybe a long time ago) and now you want to connect another device, like a laptop, tablet or a smartphone to the same wireless network. This also happened to me once and it probably happens to other people also. 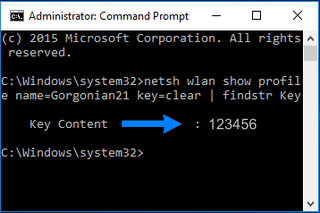 Fortunately, there's an easy and quick way to look up your password and this tutorial will show you how to do this on a Microsoft Windows PC. 2. When a User Account Control window appears, you click on the Yes button. Note: You will need to replace MyNetworkName with the name of your wireless network. The password of the WiFi network will appear at Key Content. 2. Click on the name of the current Wi-Fi connection. 3. Click on Wireless Properties. 5. Under Network security key, you check the Show characters option. Windows will now show you the password.